As we say goodbye to 2017 and welcome 2018, we thought we would take the opportunity to reflect back and share with you some of our highlights of the year. 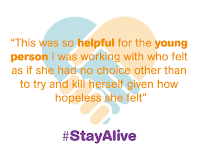 This year we have trained over 1,000 people in Suicide alertness and Suicide prevention, we have reached over 37,000 downloads of our #StayAlive app (still counting), and so far more than 2,500 people have taken our “Tell Me” suicide prevention pledge. 2017 was the year of Brexit, Trump, and the lowest record of unemployment in Britain for 42 years. But 2017 was also the year of the #MeToo campaign, when women came together to share their stories and experiences of sexual assault and harassment; leading to a widespread movement that affected change in law and policies. In 2017 Australia became the 25th country to achieve marriage equality, along with Finland, Malta, and Germany. Records have also shown that for the second year running, there has been a decrease in the number of registered suicides in Great Britain. On the 13th December, a debate was held in the house of Commons to discuss male suicide. In case you didn’t know: over ¾ of UK suicides are male. The power of the #MeToo campaign has encouraged industries across the world, from media to politics to academia, to take responsibility for their actions. There’s still a long way to go but a silence has been broken, as we begin to see more open and honest conversations around topics that have been stigmatised for years. We could say then, that 2017 was the year that put mental health on the map. We train local people and workforce's across Brighton and Hove and further afield in suicide alertness, suicide intervention, understanding self injury, and mental health awareness. This year Grassroots have delivered a total of 17 ASIST courses, 28 SafeTALK’s, 23 MHFA courses, and trained over 1,000 people in suicide prevention and mental health awareness. In schools, colleges, and universities, Grassroots have trained around 100 young people this year to be more suicide alert. We have also been able to offer subsidised training through our partnership with Public Health at Brighton & Hove City Council to anyone in the local area working with vulnerable or high risk groups. We believe that when community members and workforces are trained in both safeTALK and ASIST it creates a robust community model of suicide prevention. 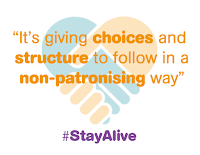 Together our courses provide a consistent, whole community approach to suicide prevention. Feedback from our participants has been overwhelmingly positive both on a quantitative and qualitative level. 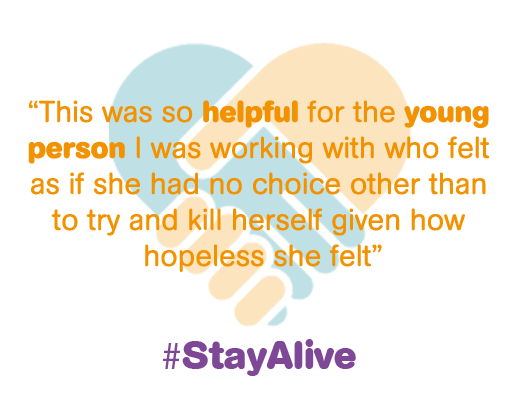 There is clear evidence that the ASIST and SafeTALK training helps people become more ready, willing and able to help someone at risk of suicide. It's been an incredibly successful year for the ‘Stay Alive’ app, as we reached over 37K downloads! With national and local crisis resources at your fingertips, the app also includes a safety plan, a LifeBox to store special photos and memories, guided breathing exercises and your own personalised wellness plan. With everything stored and customised on your app, there's no need to carry around slips of paper with contact details on. 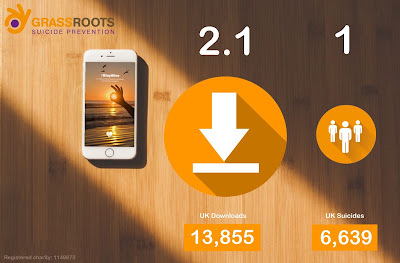 So far our app has received excellent feedback and we believe the rising number of downloads is linked to an increase in trust around using health and well being apps, and our constant work to keep the app up to date and safe. Stay Alive app provides hope for vulnerable people and hope for the future. This year for every person that has died by suicide, twice as many downloaded the app. So over 13,000 people this year in the UK have the potential to help someone else at risk of suicide stay safe. In our recent survey, 76% of users said the app had allowed them to help someone else stay safe. 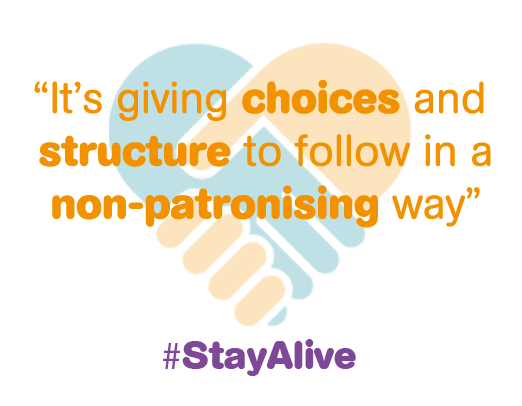 This has been an ongoing project engaging young people creatively to promote suicide prevention in their communities, whilst creating visual on-street adverts for Grassroots’ mobile phone app Stay Alive. Funding for the project came from the Mental Well being Innovation Fund at Brighton & Hove City Council and NHS Brighton & Hove. This year saw the addition of several new street art installations appearing during Mental Health Awareness week 2017. We worked in partnership with artist Madderdoit? And The Princes Trust. We were really busy during the run up to this years World Suicide Prevention Day! The Grassroots team held an open event at the Unitarian Church on the 8th September, getting passers by involved with this year’s theme ‘take a minute, change a life’. 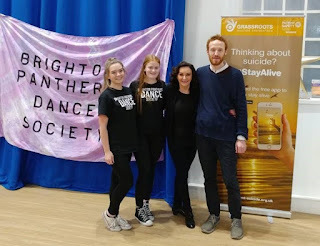 This included fun one-minute challenges hosted by Brighton Table Tennis Club and Brighton & Hove Albion in the Community, and a chance to take a framed selfie in support of suicide prevention! These lovely lads from A Class security volunteered with us too, and artist Madderdoit? Painted a mural on a large electricity box at Brighton Station, targeting commuters at risk of suicide by promoting the Stay Alive app at the Brighton Station. As of March 31st 2017 approximately 2,508 people had taken the ‘Tell Me’ pledge! ‘Tell Me’ is a simple suicide prevention pledge that anyone can take to help prevent suicide. It encourages us to be alert to our own needs and reach out to those we care about. Whoever you are, wherever you live, we encourage you to take the pledge to have open, honest and direct conversations about suicide. A huge thank you to all our fundraisers! From swimming challenges on New Year’s Day - to a group cycle ride across Ireland, running marathons, hosting cake sales, poetry events, an auction of promises, art exhibitions, gigs, and even an all day music festival - we are sincerely grateful to everyone who has been involved and taken on a sponsored challenge for Grassroots this year! Suicide is not an easy topic to talk about, and for many who have been affected, it can feel like a dark and lonely place. We hope that taking on challenges will be a personally enriching experience but also help to build safer and more engaged communities around the impact of suicide and mental health. 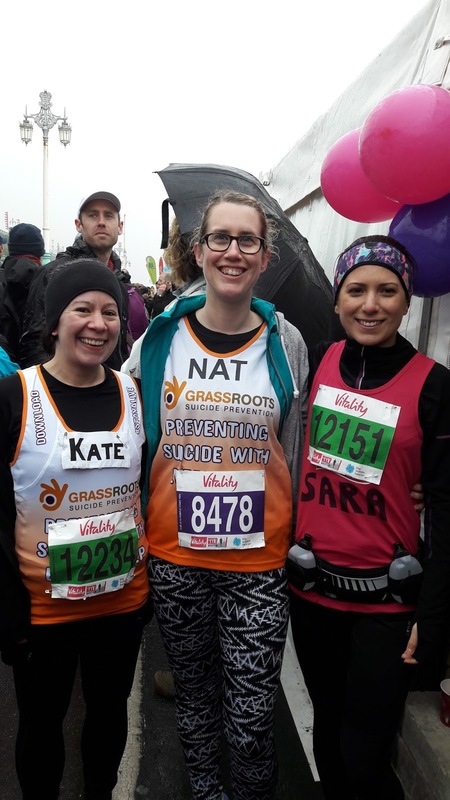 Getting involved with fundraising projects can be a benefit to your own well being, keeping you active and connected whilst meeting people within your local community! Heres our Development Officer Alex with Shirley Ballas and the Brighton Panther Dance Society taking part in a Cha Cha Cha masterclass, all in support of Grassroots! A big thankyou to all who came along and made this happen. As you can see, there are so many ways to get involved, and whatever you do is up to you. We can provide a t-shirt, information booklets about Grassroots, and your personal sponsorship page on JustGiving. 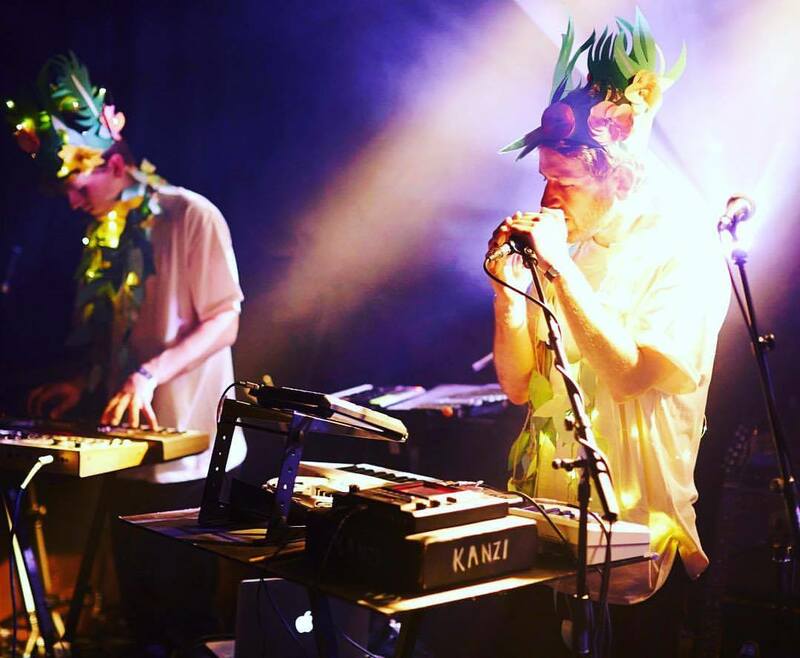 For details of upcoming events, check our Facebook page. There are still places left for the Brighton Marathon 2018 so get in touch if you would like to take part! If you’re taking a challenge and would like to collect sponsorship, please contact us at office@prevent-suicide.org.uk.